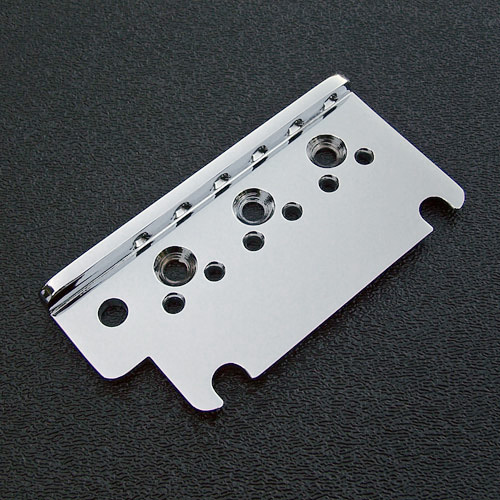 Genuine Fender® American Standard Stratocaster® Chrome Bridge Top Plate. 2.2" center to center spacing for the two mounting pivot pins. String spacing 2-1/16". Used on 1986 - 2007 American Standard Strat's. To be used with offset intonation screw saddles such as 099-0840-000, 003-6528-006 or PS-8001-00.